Marie Kondo Isn’t Trying to Make Everyone Burn Their BooksCalm down, Twitter. Netflix Wants You to Fix Your Life, One Reality Show at a TimeThe hottest new thing in reality TV? The Joyful Expert. Marie Kondo Returns, Just in Time for Your New Year’s ResolutionsOn the set of her new Netflix series, Tidying Up. Tidying Up With Marie Kondo Is Surprisingly WatchableIn Marie Kondo’s Netflix reality series, conspicuous consumers are just like us. Tidying Up With Marie Kondo Trailer Brings an Insane Amount of Joy to CleaningFind your spark of joy! Ironically, Netflix Is Adding a Marie Kondo SeriesDeclutter your Netflix queue by watching only Marie Kondo. 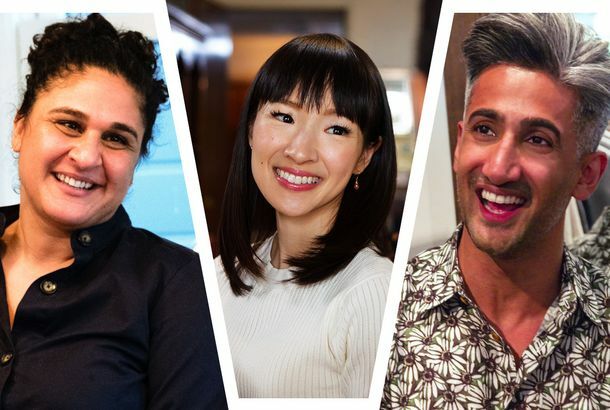 Marie Kondo Filming Two-Part NYC KonMari SpecialAmerica’s socks have never been happier.